Welcome to five minute Friday to where us bloggers where we are given a word prompt and write for just 5 minutes simply for the joy of writing. No editing or backtracking necessary. No need to be perfect. Just words freely flowing from my heart to yours. I was a photographer for 15 years, and when I saw the word today was focus, I was drawn to the reason why I hid behind the camera for so long. I spent years behind a camera focusing in on other people’s lives and making their dreams come true. I think a part of me wanted to do for others what was not done for me. I loved the art of it; making time stand still for memories that would be there for a lifetime. The memories I had in my life were far from picture worthy, or memory making – but to create that for others was a dream of mine since I was as early as 6 years old. When I got my first real camera as a child, I would take photos of cabbage patch kids on a swing. I created these wonderful moments to capture on film. I built happiness to capture, and it made me happy inside to see life one way, because my life was another. Later on in life I took that into my adult life and decided to be a photographer. I specialized in family portraits and children portraits. Something about focusing in on the beauty of a family just helped me to move through what I didn’t have. 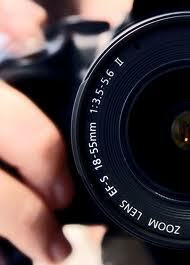 I hid behind a camera, pushing away what I couldn’t focus on myself. I gave up my business 3 years ago to focus more on MY LIFE and MY HEALING. I miss it, I truly miss holding the camera in my hand and focusing on the beauty of life, and helping others to create memories they could remember forever. The more and more I am finding peace in my healing and moving through this journey, the more I am focusing in on the things I love. I want to pick up the camera again someday, and I wonder what it would be like to go back behind the lens and to capture lives knowing that I don’t have to hide behind it, but enjoy it. First of all, everything about your blog is so lovely. Peace is immediate with the sunset, birds, wistful trees. Your header is wonderful. You are lovely.